Connoisseurs, hipsters, artists and artisans: prepare to be thrilled and inspired. St. Louis is bursting, burgeoning, bulging with art—all types, all kinds, all disciplines, all delights. The happening art scene spreads a colorful canvas throughout the city, spotlighting and encouraging established and emerging artists in great museums, galleries galore, community complexes, restaurants, malls and a plethora of public and private places. The whole of St. Louis is an art venue to explore and excite. First stop for many visitors is St. Louis Lambert International Airport, where murals, installations and rotating exhibits help the imagination fly to what’s ahead. The art-smart traveler considers the Saint Louis Art Museum a must for both the architecture and art. Occupying Cass Gilbert’s fabulous Palace of Fine Arts, built for the 1904 World’s Fair, this classic museum holds an eclectic collection containing more than 33,000 works spanning time from antiquity to the contemporary. 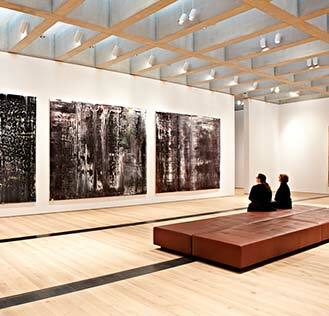 For the new and dramatic, you can’t beat the Contemporary Art Museum St. Louis in Grand Center. A noncollecting institution, CAM holds more than 20 exhibitions a year featuring celebrated and promising artists from St. Louis and around the world. The Pulitzer Arts Foundation sits next door to CAM. The Tadao Ando-designed building is a work of art in itself and exploring the play of elements from inside, pure magic. The Pulitzer is a noncollecting institution for sculptures by Ellsworth Kelly, Richard Serra and Scott Burton on view permanently. The Mildred Lane Kemper Art Museum on Washington University’s campus, a teaching museum designed by Pritzker Prize-winning architect Fumihiko Maki, links to the Sam Fox School of Design & Visual Arts and speaks to museum lovers as well as to the scholarly community. Exhibits feature pieces from the world-renowned university collection as well as solo and thematic shows featuring works of an arising generation of artists, including those in the University’s master of arts program. 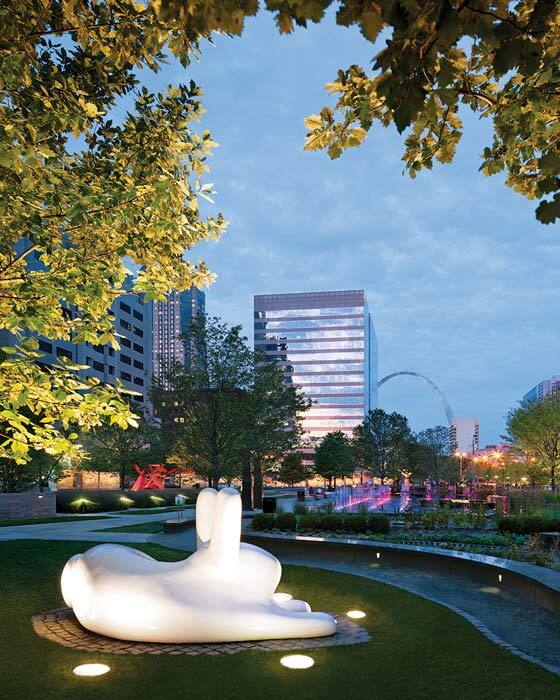 Sculpture devotees can craft pure pleasure outdoors walking through Citygarden, a downtown park with 24 pieces of sculpture, plantings and water features, and the gorgeous Laumeier Sculpture Park, a 105-acre park in Sunset Hills, showing more than 60 sculptures. “The best things in life are free” adage pertains to St. Louis art institutions. Most treat visitors not only to free entrance, but also to free activities that include programs, events, lectures and classes that are designed to educate, entertain and engage fellow artists as well as the community at large. 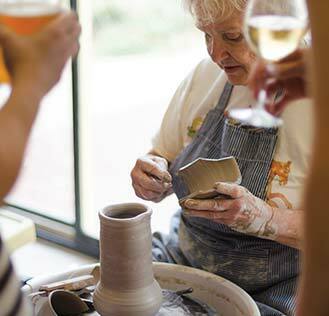 St. Louis invites visitors to not only visually enjoy art, but also participate in making it. Creative classes and workshops fill the city. Craft Alliance Center of Art + Design in the Delmar Loop exhibits and sells top-notch contemporary art utilizing craft materials and techniques. In addition, the non-profit offers multiple workshops and classes for all age groups and expertise at both the Loop location and its facility in the Kranzberg Arts Center in Grand Center. Picture yourself a glassblower? 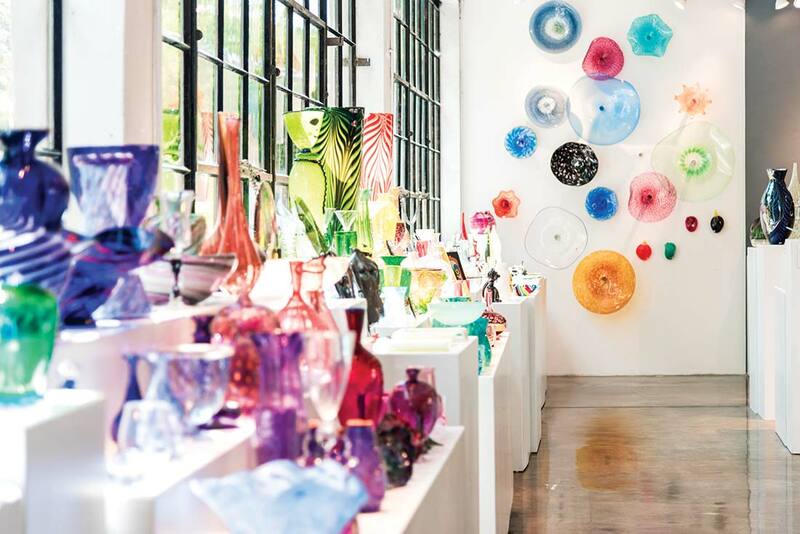 At Third Degree Glass Factory in midtown St. Louis, visitors can view and buy beautifully crafted glass items in addition to watching a glassblowing demonstration and taking classes in glass-making projects. The non-profit Perennial, in the South Carondelet neighborhood, sells repurposed home goods and eco-friendly project supplies and also offers multiple classes teaching folks how to turn trash into artistic objects. 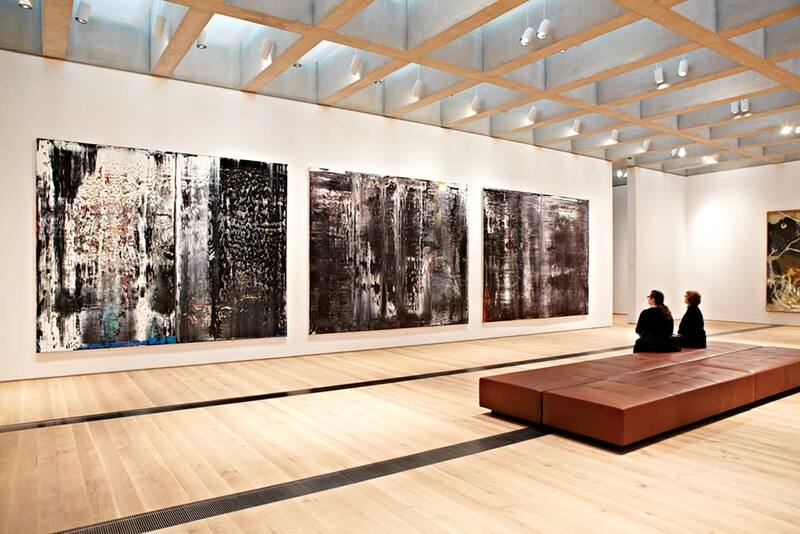 ‘The best things in life are free’ adage pertains to St. Louis art institutions. Art is a citywide project in St. Louis, with whole communities and non-profit concerns collaborating to support artists and their work. 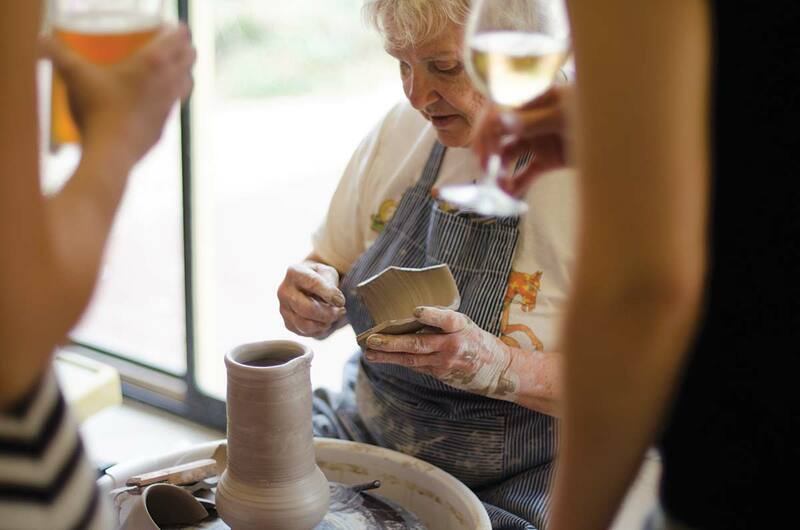 The Luminary Center for the Arts on Cherokee Street provides artists with studios and exhibition space and holds a variety of cultural programs featuring visual art, poetry, dance, theatre and music. 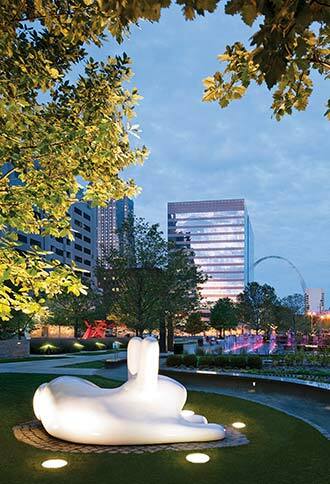 Art Saint Louis in downtown and The St. Louis Regional Arts Commission near The Loop, dedicate space for exhibitions and provide resources for a number of endeavors that support local artists as well as cultural programs and projects. Perhaps one of the ultimate urban arts experiences happens at City Museum. A surrealistic architectural and artistic marvel, City Museum is made up of unique found objects that have been repurposed into a 600,000-square-foot funhouse for the senses. A new art gallery adds to the hours of fun in the one-of-a-kind place. St. Louis is a living, breathing, blossoming boomtown of artistic and cultural expression that enriches, elevates, excites and enlivens artists, residents and visitors alike. 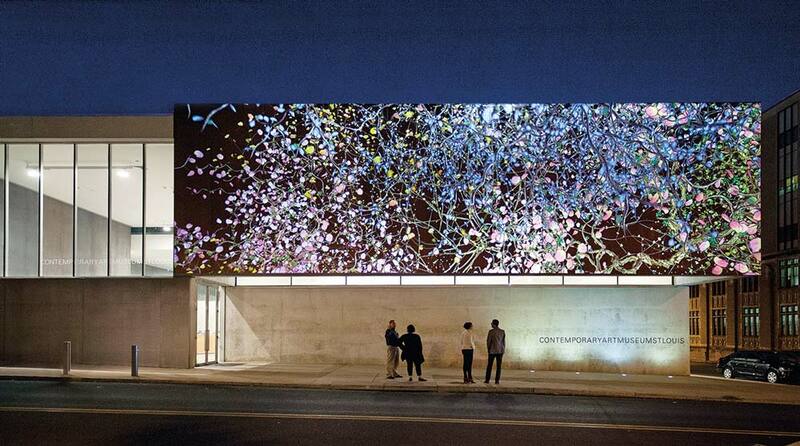 Click here for more ways to appreciate art in the Gateway City.